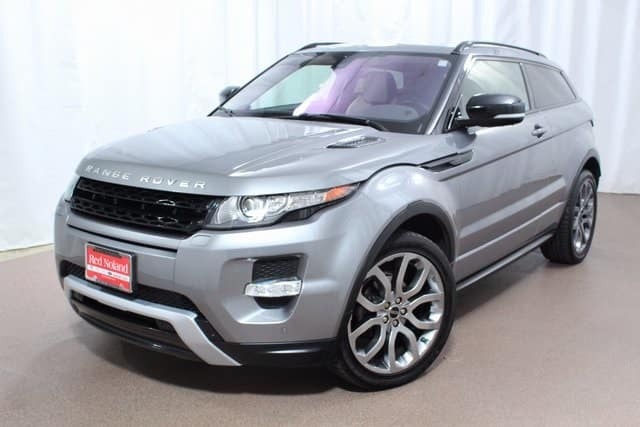 If you are looking for a vehicle with ultimate style and comfort, Land Rover Colorado Springs has a beautiful pre-owned 2012 Range Rover Evoque. It is equipped with the Dynamic Premium Package! With just under 35,000 miles on the odometer, this beautiful SUV has very low miles and has been well maintained. The 2.0L I4 turbo engine is both powerful and efficient. It provides an estimated 18MPG in the city and an astounding 28MPG on the highway. This stunning local trade is loaded with features the whole family will enjoy. Features include the Climate Comfort Package with heated options for the cold weather and Blind Spot Monitoring. It also features Sporty Dynamic Premium and Exterior Package, Satellite & HD radio with 11-speaker sound system, 19-inch lightweight alloy wheels, surround camera system, and many more exciting features! Priced below $30,000, this luxury performance SUV is priced to sell. Stop in to Land Rover Colorado Springs to see why the 2012 Land Rover Evoque was named Motor Trend SUV of the Year! Take a test drive and experience for yourself the luxury and power of this beauty.